Expanding public access to the Neponset Watershed and River is an important way to share the beauty of the landscape and grow a coalition of stewards to protect the area. Our most extensive work has been to increase access along the lower Neponset River and Estuary in Mattapan, Dorchester, Milton, and Quincy. 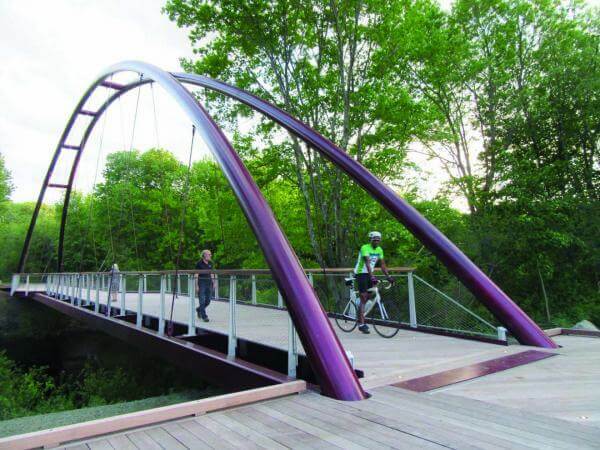 In Boston and Milton, miles of the Neponset Greenway Trail have been constructed and are used by thousands. This multi-use, flat, paved trail is off road, and is perfect for families and all abilities. View photos of the Neponset Greenway construction. The Watershed Association also opened the 2 mile long Quincy Riverwalk in September of 2014, after many years of negotiations with other Greenway advocates, local politicians, businesses, and land owners. and restoring boating passage by removing or modifying obsolete dams. Learn more by contacting Executive Director, Ian Cooke at 781-575-0354 x305 or cooke@neponset.org.